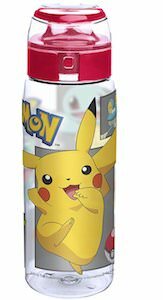 If you like to work out and catch Pokemon then you just need to have this Pokemon sports bra. The black sports bra comes in a wide selection sizes and has Charmander, Squirtle, Bulbasaur, and Pikachu on it and on top of all that it says “Pokemon” in a white banner. The Pokemon bra is made from 95% cotton and 5% spandex and is great for a nice workout or maybe just as an everyday bra. 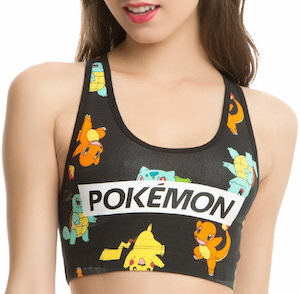 Wearing this sports bra will make you have Pokemon close and if you really like Pokemon then that is the way to go.